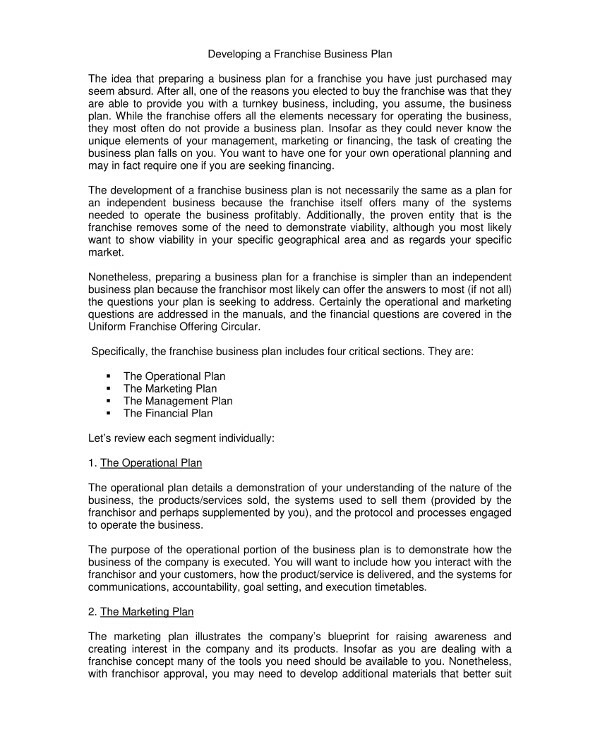 What is your initial plan when you have just franchised a business? 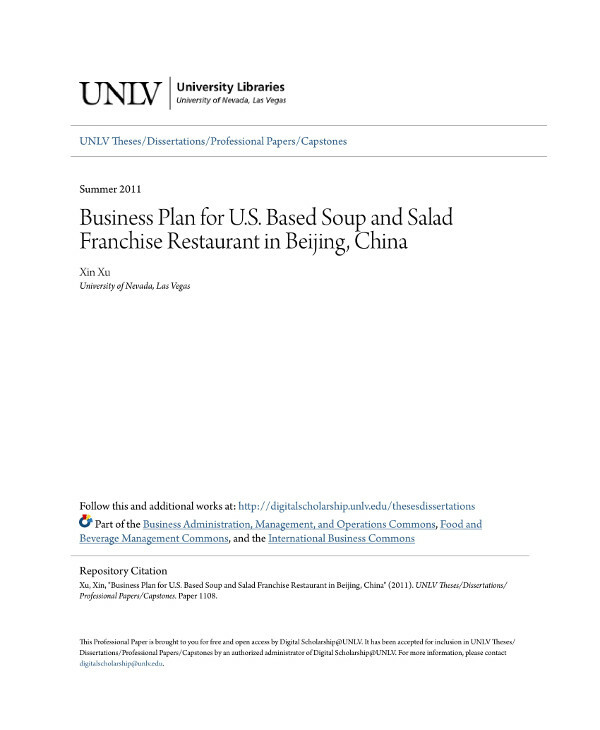 Most people would find it absurd to immediately prepare a business plan for their franchise. Many would think that when you franchise, the franchisor would provide them the business plan apart from other elements necessary to operate the business. However, that is not the case. The task of creating a business plan for your franchise heavily falls on you. You have to note that developing a franchise business plan is not necessarily similar to the business plan of independent businesses. It is much simpler because, most likely, the franchisor can provide the answers to most of the questions that your business plan is seeking to address. Hence, creating a franchise business plan does not really require tough brainstorming, planning, and preparation. 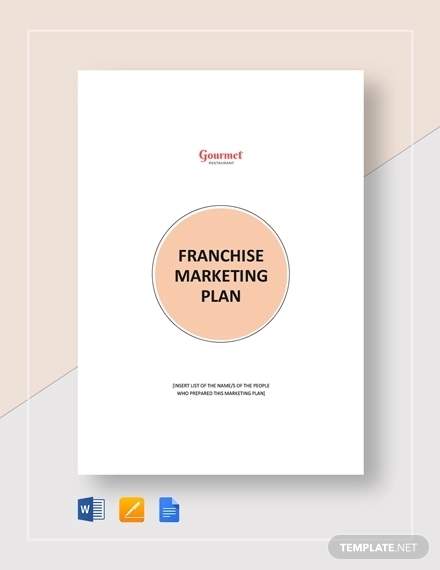 Although you still need to be specific in your goals as a franchise, the franchisor can provide you the information regarding your target market, the suitable location for your business, and many other basic information.You may also see advertising and marketing business plan examples. Do not be too overwhelmed with the thought of creating a successful business plan and instead focus on what you can do and what you can ask from your franchisor. 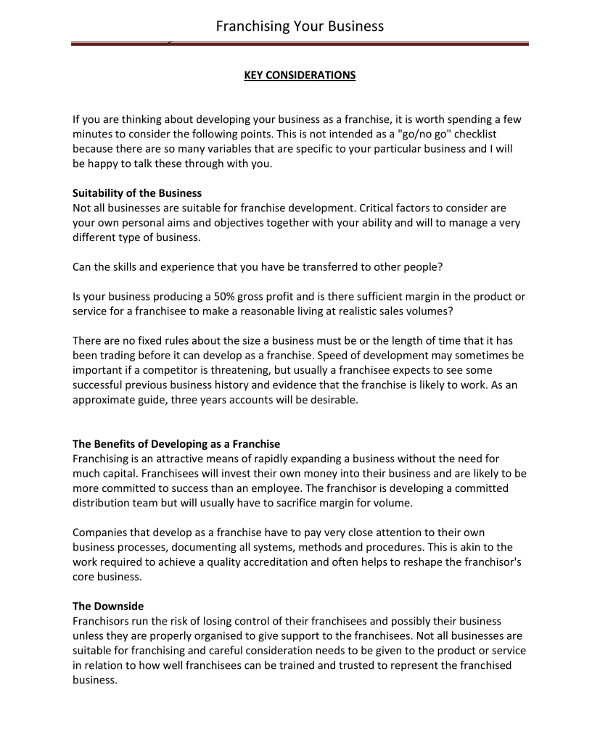 Moreover, the examples of franchise business plan displayed below can surely help you in your start-up. By the book, a franchise is a method of parceling out goods or service. It is a type of business where the franchisee agrees to pay certain fees as well as follow certain business franchise rules in order to acquire the right to sell the goods or services of the franchisor, the company who established the company. The franchisee can also benefit from its business methods, trade secrets, goodwill, professional training, as well as operating assistance.You may also see company plan examples. A franchise, for it to operate legally, consists of the following three elements: trademark, fee, and control or assistance. There are certain franchise fees associated to the franchise which is a requirement and a condition for you to obtain the franchise and begin the operation. 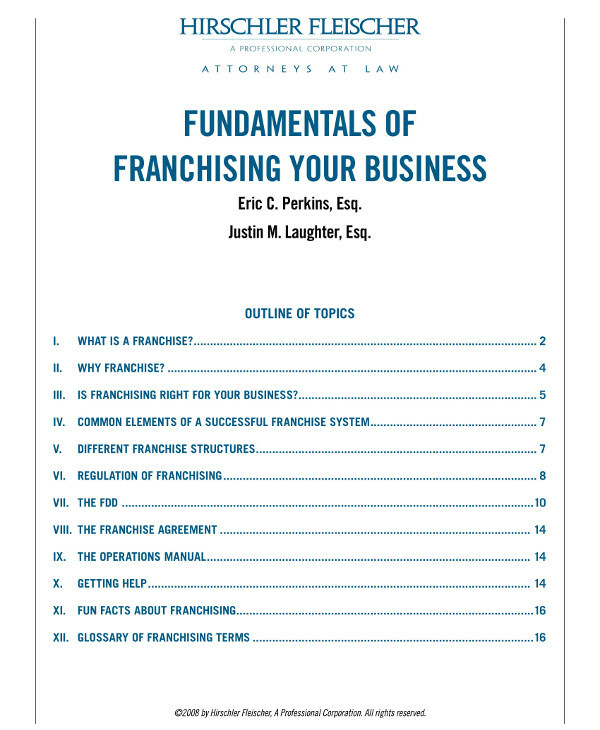 While the franchise fees are payment for the trademark and other benefits that a franchisee acquire from the franchisor, some franchisors would use the fee to aid in the start-up materials and tools of the franchisee. One of the critical factors that you must consider is the suitability of your business. This includes your personal aims, your objectives, as well as your ability and will to manage this type of business—franchising. You must also consider the downside of franchising. For the franchisor, he or she must carefully assess the franchisee regarding the ways they can be trained and controlled. For the franchisee, he or she must scrutinize the legitimacy of the business. Franchisees can benefit from a strong corporate image of the franchisor. The franchisor must be legal and registered, and if the franchisor has a trademark, it must be registered with the Patent Office. There must be an agreement signed before the commencement of the franchise or start of the franchise operations. There must also be an agreement as to who will shoulder the legal costs, whether it may be the franchisor or the franchisee. For this, you might want to take a look at franchise agreements. Another important consideration is the financial aspect of the franchisor. The franchisee would normally expect that there is transparency in the financial statements of the franchisor and that the accounting records involve positive amounts. 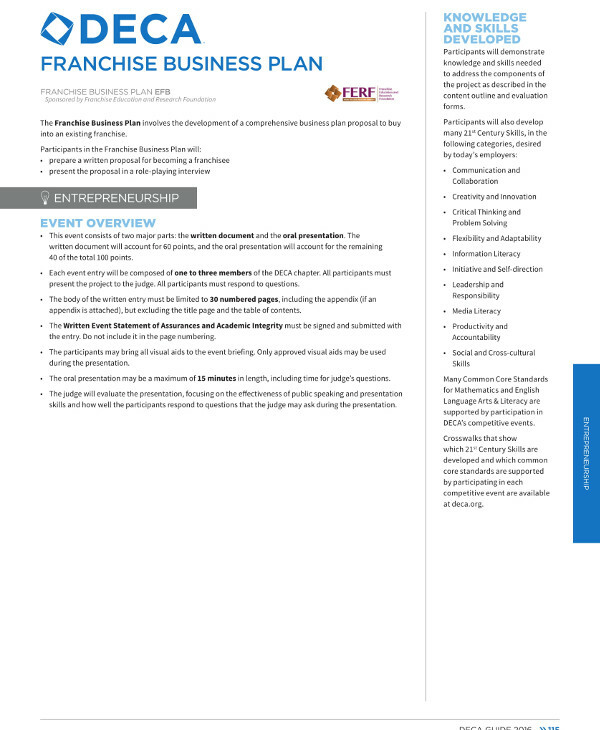 The franchise products or services must be carefully tested in the market with a pilot franchise and an independent franchisee for a certain period of time, usually over a minimum of twelve months to ensure that the franchise is not a failure.You may also see risk plan examples. In order to find the optimum area of the franchise, where it is conducive to the target market, a research must be carried out to define a certain location that will support the business based on the number of people, number of households, number of businesses, number of cars, etc. You might also be interested in rental property business plan. The franchise must provide the franchisor the benefit of the franchise even at the commencement of the franchise through providing a package of a fair amount of initial stock, training, manuals, accounting system, and other necessities for a start-up. For reference, you can check out tech startup business plans. As has been said above, the patent or trademark of the franchisor must be registered with the Patent Office. This will cover the protection for the business name and the logo of the business. This will also ensure the franchisee that the business he or she is into is not only credible but also safe and secured. If you have already started in your franchise, one of the first things that you must have is a business plan. Although you might think that the resources and basic provided by the franchisor is enough, well, it is really not. 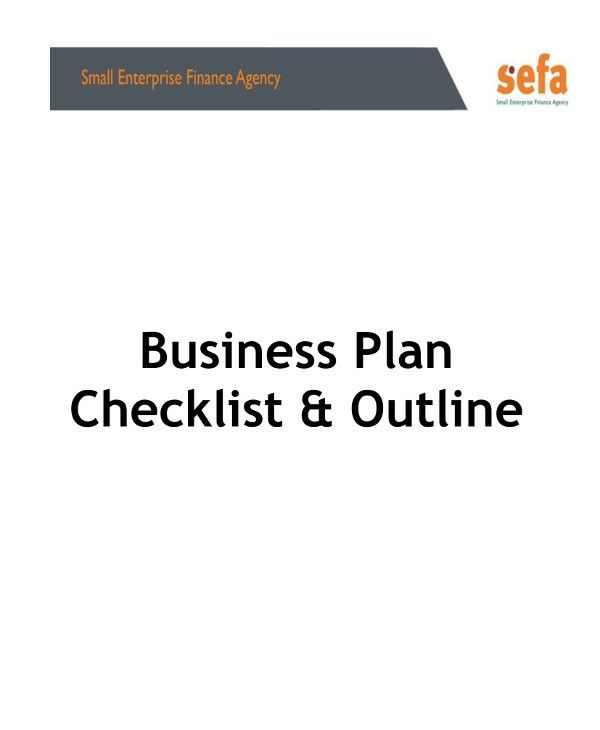 You must have your own business plan that will detail your plans as well as the detailed steps in achieving those plans. In your operational plan, it must contain information demonstrating your understanding of the nature of the business, the products and services for sales, the systems and methods used in selling, as well as the processes engaged to operate the business. 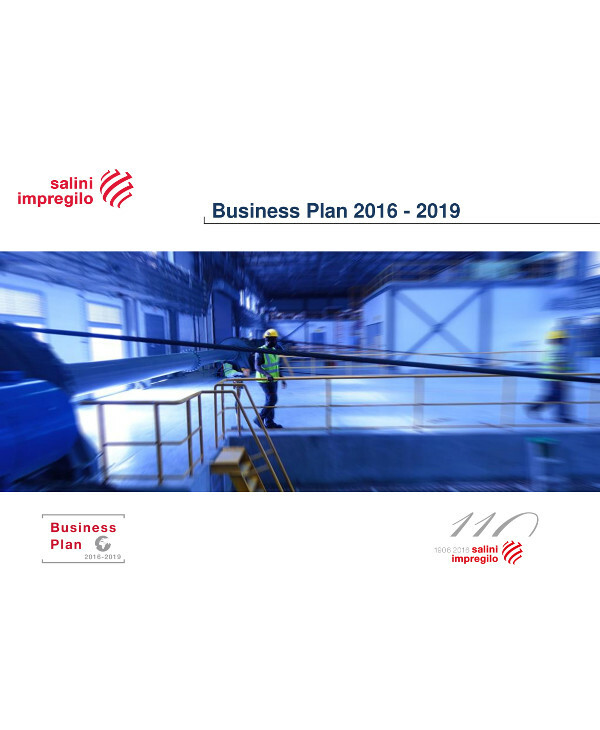 Operational plan is important in order to demonstrate how the business is executed. Also include your ways in interacting the customers, the delivery of the products or services, the systems for communication, execution timetables, among others. In this section of your business plan, you must illustrate the company’s blueprint in order to create interest not only in the company but also its products. Normally, the franchisor would provide you advertising materials for your marketing. However, you may also need to develop additional advertising materials that better suits in the area where you are doing business. The importance of marketing plan is that it is used to map out how to engage the market and sustain customer flow. You must include in your marketing plan the description of your target market, the channels for communication, marketing strategies, and many other plans related to marketing. In your management plan, you must include the management—the people who set the strategies, oversee and execute, allocate the resources, and make the decisions—as well as the company’s vision and philosophy. Normally, the franchisor already has this in their company documents, but you can contribute in enhancing and improving their management plan through creating your own relevant management plan. This is integrating your own vision for your franchise to the management plan that they have already created. 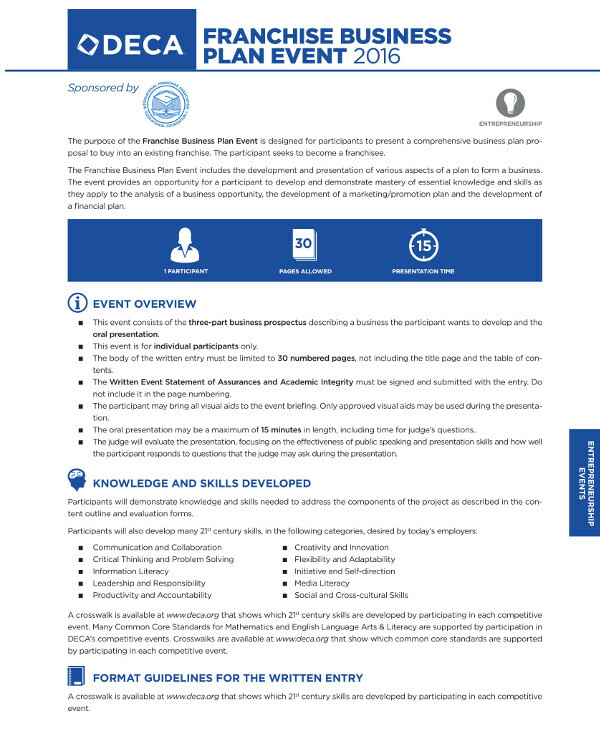 This is important because it provides evidence of competency and management systems. Hence, relevant sections from the franchise management manual, tactical positions, strategic principles, and prevailing business models must also be included in this section of your business plan. Your financial plan is your method of proving how your operations can make money in doing what it is supposed to do. You may include in your plan the financial successes of other franchises and of the franchisor’s own operations. This is to demonstrate your anticipated success in your franchise. A financial plan is important in order to show the key elements of the company’s operation. Hence, it is recommended that you will include in your financial plan your operational budget, the funds that you need and expect to raise of borrow, as well as the anticipated costs and revenues in the form of projections. If you are contemplating on venturing into franchise business, it is better that you start immediately and enjoy the benefits from your franchise. The earlier, the better. Remember, a franchising business provides lesser risk and you are assured of the return, especially when you are franchising a business that already established its name in the industry, for example, McDonald’s.You may also see lean business plan examples. So what are you waiting for? Make the wise decision now, and use the examples of franchise business plan provided above to help you in your start-up. If you got to start some time, why not now?